Carus Green is a unique venue located just north of Kendal in the gateway to the Lake District. The club offers a challenging 18-hole parkland golf course with stunning vistas and views of the fells beyond. 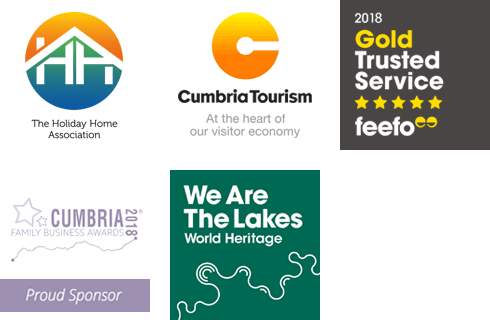 The award-winning contemporary Clubhouse has a range of flexible dining, using locally sourced produce, perfect for a leisurely lunch or evening meal after spending the day out on the course or exploring the beautiful Lake District National Park. Golfers can enjoy an 18-bay high specification driving range, a specialist club fitting centre, training from PGA professionals and half-price green fees when staying at any of the stunning self-catering properties! If you’re thinking of staying at Carus Green but golfing isn’t your thing, all guests staying in the Carus accommodation get free access to the leisure facilities at The Sanctuary Leisure Club at the nearby Riverside Hotel. There you can enjoy the heated indoor swimming pool, sauna, steam room and fully equipped gym. A perfect way to spend a few hours on those rainy afternoons in the Lakes. Explore all this fantastic venue has to offer in more detail below. Enjoy corporate and team building days at Carus Green, this unique destination will inspire and excite. Golf training days can be tailored for beginners to pros for a bespoke day of personalized challenges to give your event a unique twist and your group an experience to remember. The Clubhouse offers panoramic views of the golf course and the Lake District fells beyond – certain to impress any crowd. The private balcony is the perfect spot for break-out sessions and the private bar means you can be self-contained throughout your event. Alongside the delicious daily menus that are on offer, you can also choose from a selection of buffets or 3-course menu options which can be adapted to your group’s specific requirements. If you’re looking to mark an occasion or motivate a team, this fantastic destination on the edge of the Lake District National Park is sure to rewarding and memorable. See more here. When you host a party or event we understand the pressure to make it a success. Choosing a venue for your function or event is an important decision, as the setting really dictates what the guests at the event feel and how much they enjoy themselves too. So why not choose Carus Green for your next function? All your guests will feel the 'wow' factor as they arrive, and they will continue to be impressed as they watch the sunset behind the fells while they sip something delicious and enjoy good company. Carus Green can cater for a variety of types of function, so whether you're looking for a wedding venue for your big day, you have a special birthday to celebrate, or you may want to invite clients to celebrate a special anniversary with you, choosing Carus Green will help you host a function to remember. You can choose from a variety of setups for your event, and the menus offer a great choice of quality food for you and your guests to enjoy. The added value of hosting a function or event at Carus Green means that you could book on-site self-catering accommodation for you and your guests, which means you have just a few metres to walk home at the end of the night. Located on the edge of the Lake District, just north of the historic market town of Kendal, Carus Green has gained a reputation for being one of the finest golf courses in Cumbria - featuring an 18-hole parkland course with stunning vistas of the surrounding countryside and the Lake District fells. The course has an interesting natural topography and three rivers that meander through it, The Kent, The Mint and The Sprint, adding interest and variety to every hole. The golf course regularly plays host to Northern PGA events also has several challenging two-tier greens and water features to complement the award-winning clubhouse. At more than 6,000 yards (par 71) from the white tees, Carus Green presents a stiff but fair test whilst offering a mostly flat, easy walking on the river plains. However, if you haven’t the time to squeeze in a full round on the course or you fancy a light night golf session after a day out on the fells, you will also find an 18-bay floodlit driving range which has 13 automated power tees and numerous targets, flags and markers. Private tuition from the PGA Academy can be arranged in one of the fully equipped bays. The PGA professions can analyse your swing and provide detailed information on ball flight using the latest Flightscope technology. There are no age restrictions on the driving range so the whole family can get involved and have a go. To enjoy this state-of-the-art driving ranges simply buy your driving range balls from the club shop, prices start from just £2 for 25. If you’d a holiday on the doorstep of the Lake District National Park with the benefits of award-winning golfing facilities take a look at our stunning self-catering properties here. The PGA Academy Carus Green is one of the best golf facilities in the north of England. Full professional tuition and swing analysis are available, making it the perfect place to practice your game and become a better golfer. There are 7 PGA professionals on hand to teach all levels, even very beginners who may have never picked up a club before. Coaching and lessons are available 7 days a week so they can easily be arranged around your plans during your time away in the Lake District and can be taken in the bespoke private teaching bays, artificial short game area or even on the 18-hole championship course itself. And if you’re learning the sport as a family there is a junior coaching session each Saturday with spot prizes to be won and a trophy awarded every week! A golf experience day is a perfect way to sample this wonderful sport or for the more experienced player it gives an opportunity to perfect your skill – you will develop an understanding of the areas you need to work on a learn how custom fitted golf equipment can help. Set in the Lake District national park this is arguably one of the most picturesque places to improve your golf. See the perfect accommodation options to head back to after a long day of perfecting your swing, here! All our self-catering properties at Carus Green have their own top-of-the-range kitchen facilities truly providing a home from home experience. However, when on holiday we all like to treat ourselves to eating out and let someone else do the washing up for a change. At Carus Green you don’t need to venture far for great food. Open seven days a week, Carus has become one of the go-to places to eat and drink in Kendal. Providing great tasting food and a relaxed and friendly environment – perfect after working up an appetite out on the golf course, a day out on the fells or if you just fancy a relaxing meal while taking in the stunning views. Serving traditional menus throughout the day from breakfast to afternoon tea and lunch to evening meals, using only the best locally sourced produce from the region you’re sure to be spoilt for choice. Get the whole gang together and enjoy relaxed dining and hearty portions in The Grill Restaurant. Enjoy traditional favorites along with classic burgers and chargrilled specials or try the signature house kebabs for something a little bit different. Or why not sit back and relax in the Lounge Bar, with comfortable sofas and a large screen TV, you can spend a few hours with friends over lunch or just pop in for a pre-dinner drink before a meal in the Carus Grill Restaurant. The Carus Sports Lounge provides a heart for the golfing enthusiasts, offering views of the course with the large adjoining balcony, perfect for an evening drink in the warmer summer months. This suite is great for team celebrations or simply gathering to watch big sporting events on the 100" screen! See our properties at Carus Green here. Cumbria is home to several amazing golf courses and fast becoming a popular destination with golfers across the country. If you’re looking to dip your toe into the golfing world and book your first golfing break in the Lake District Carus Green is certainly the go-to club. Carus Green is located just north of Kendal, the gateway to the Lake District, and offering spectacular views from the course itself as well as the impressive balcony of the Clubhouse next door. This unique club offers a challenging 18-hole parkland course, an 18-bay high specification driving range, a specialist club fitting centre and the PGA Academy boasts state-of-the-art training equipment. The PGA Academy at Carus Green is one of the best golf facilities in the north of England, and with full professional tuition, you’ll soon perfect your game in a relaxed and friendly environment. Carus has 7 PGA professionals in total with a combined 80 years’ experience in teaching at all levels from European Tour starts to beginners. Coaching is available 7 days a week for up to 12 hours a day – learn all there is to know about the game and swing techniques out on the 18-hole championship course, bespoke private teaching bays or on the artificial short game area. All the family can learn the sport with Saturday morning junior coaching available 10am – 11am, suitable for children aged 5 to 11 years old. If you’re a complete beginner all equipment can be provided if need to help you get to grips with the basics. If you fancy trying out all areas of Carus a golf experience day is the perfect way to sample this wonderful sport whilst set in the picturesque Lake District National Park. There are four golf experience day packages available at Carus, which all have their own twist - you can spend time on the driving range, playing on of the championship courses on offer in the bespoke GC2 simulator room or have an experience tailored to suit your preferred budget and requirements. All experience days include lunch and drink in the Clubhouse. Take a look at our stunning self-catering properties located at Carus Green here, all of which come with half-price green fees, and start planning your golf break in the Lake District today! Carus Green has something for everyone, even if you’re not a golfer you will not regret staying at this stunning site. If you prefer to take things a little slower or looking to relax after a day out on the fells, take advantage of unlimited access to The Sanctuary Leisure Club at the nearby Riverside Hotel. Enjoy a dip in the heated indoor swimming pool or relax in the steam room with essence lights and eucalyptus scent. Alternatively, get the blood pumping in the fully equipped, state of the art gym including treadmills, bikes, rowers, stepper and cross trainers. After relaxing at the Riverside Hotel, why not head back to Carus Green and enjoy afternoon tea in the lounge or al fresco on the balcony. A truly mouth-watering experience features all the tasty treats you would expect and a few added extras and tea selection. Alternatively, you can add a glass of prosecco to add sparkle whatever the occasion. Carus Green is a fantastic wedding venue in the Lake District. With self catering properties on site providing convenient accommodation for all your guests, and all the facilities you need for a spectacular celebration you can be sure that your special day will be one to remember for ever. Carus Green provides a perfectly balanced setting; it’s grand enough to ensure the ‘wow’ factor, yet intimate enough to ensure you and your guests can relax and have fun. The huge balcony and floor to ceiling windows provide the perfect backdrop for photos to be taken, wine to be sipped and memories to be made. And with views across the golf course to the fells beyond you can enjoy stunning scenery as the sun goes down. Everything can be taken care of for you if you choose Carus Green as your wedding venue. The experienced chefs can provide you with inspiration to plan your menu, and with close links and relationships with many wedding specialists in the Lake District all the other details are covered to. From photographers and florists to beauticians and cars, Carus Green can recommend local contacts to help you ensure your day is both personal and unique. If you’re looking for a truly romantic wedding venue in the Lake District look no further, Carus Green is the perfect destination. For more information about the wedding packages on offer please visit the Carus Green website. The self-catering accommodation at Carus Green means that you and your guests only have a few metres to walk home at the end of your big day.To view accommodation for your wedding guests or to make a booking CLICK HERE. Carus Green is the perfect destination for family holidays in the Lake District. All Carus Green self-catering properties have fully equipped kitchens and fantastic finishing touches such as flat-screen TVs and Sky packages including Movies, great for relaxing after a long day on the green or exploring all the Lake District has to offer. Children are more than welcome to play on the 18-hole championship course, the high specification driving range and in the golf simulator room where you can enjoy playing as a group and order food and drinks from the Clubhouse next door. Bowness-On-Windermere is just 15 minutes away from Carus Green, often described as the centre of the Lake District with many family-friendly attractions to enjoy all year round. Meet Peter Rabbit and friends at The World of Beatrix Potter, take a lake cruise over to Lakeside and explore the Lakes Aquarium and discover the wildlife that lives in and around Lake Windermere. Or hop on the Lakeside and Haverthwaite steam train, the perfect addition to your Lake District adventure. See here for some large accommodation options perfect for a family-break.